Expedition 336: One Year Later! 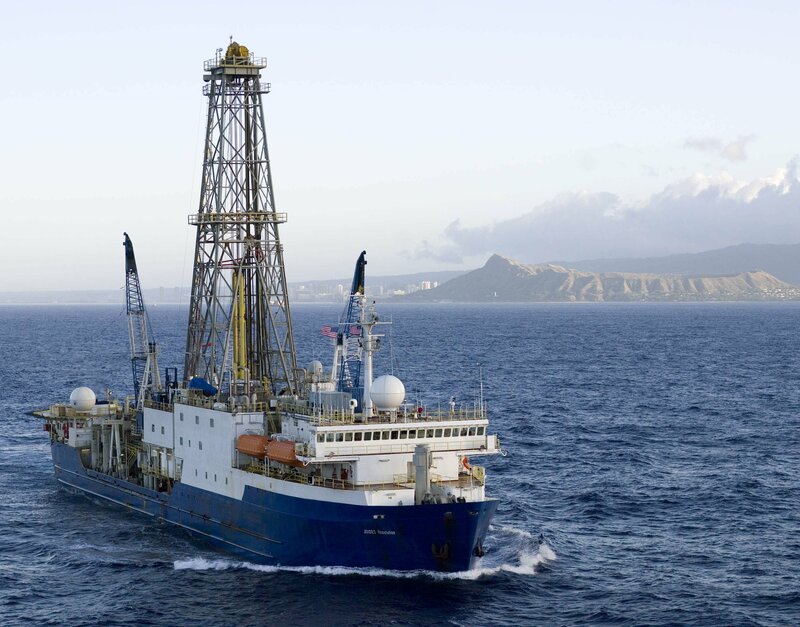 Yesterday, the scientists of IODP Expeditions 320 and 321, the Pacific Equatorial Age Transect, published a paper in Nature. This paper, all about records of the carbon cycle and climate over the last 55 million years, is not the first or the last we’ll see from these two science parties. But this paper gave me pause to reflect on both the rich science and the rich education legacy made possible through the long cycle of the expeditions. I’m proud and grateful to say I was a part of it all. From the drill shack, to the catwalk, core lab, engine room, bridge and chemistry, I learned the ins and outs of scientific drilling in the Equatorial Pacific. Like the scientists, I continue to refine and promote our work, but in my case we’re talking about the fabulous videos, blogs, and print materials we produced over spring and summer of 2009 (and beyond). Over the next week I plan to mark the publication of the Nature paper with a series of blogs that review the wonderful PEAT materials; I hope you discover something useful! 1) Begin at the beginning by exploring the updated PEAT expedition page, right here on our website! From there you’ll be directed to the numerous blogs written during Expedition 320, the video updates and documentaries shot and edited during Expedition 321, drill site maps, and scientific publications. 2) All the PNN or PEAT News Network videos are fun, but for a real overview you’ll want to watch Inside the PEAT Expeditions, a five minute introduction from the four co-chief scientists, followed by Core on Shore and the PEAT Post-cruise Meeting in Paris. They leave me with goosebumps — seriously. 3) If you’re teaching undergraduates the PNN videos would be a great leadin to an Inquiry Into Sediment Cores, or the many exercises in the new Reconstructing Earth’s Climate History, written by IODP and ANDRILL scientists and undergraduate faculty.